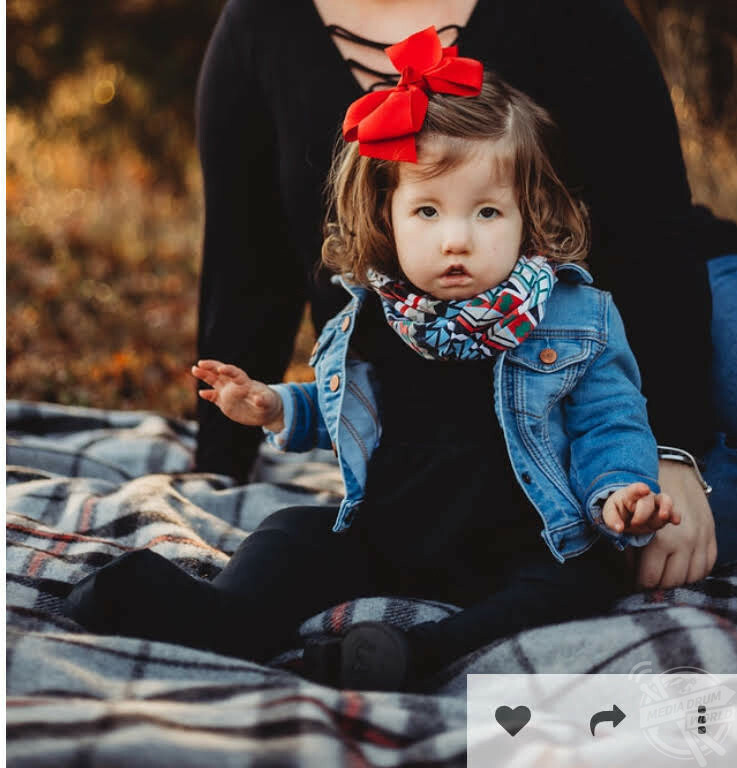 MEET THE mum who is trying to raise money for surgery to give her daughter a smile, due to a very rare neurological condition that prevents facial expression. 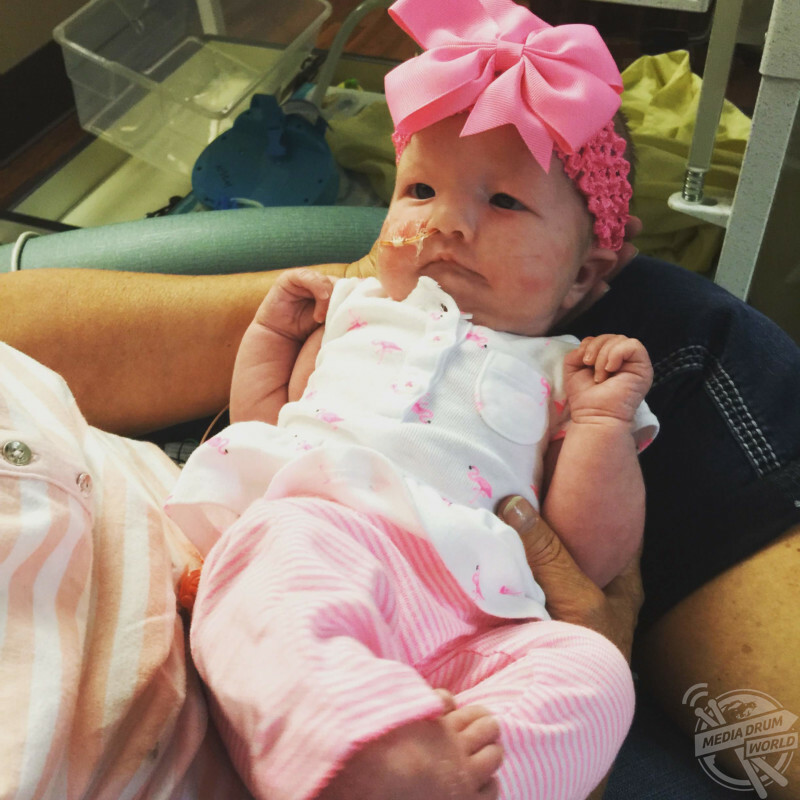 Office manager, Rachel Butler (27), from Wichita, Kansas, USA, delivered her daughter Ava (now three-years-old) via c-section in July 2015. Just eight hours following her birth, the paediatrician noticed something was not right; Ava struggled to feed, so she was admitted to the neonatal intensive care unit (NICU). Ava pictured in a field. 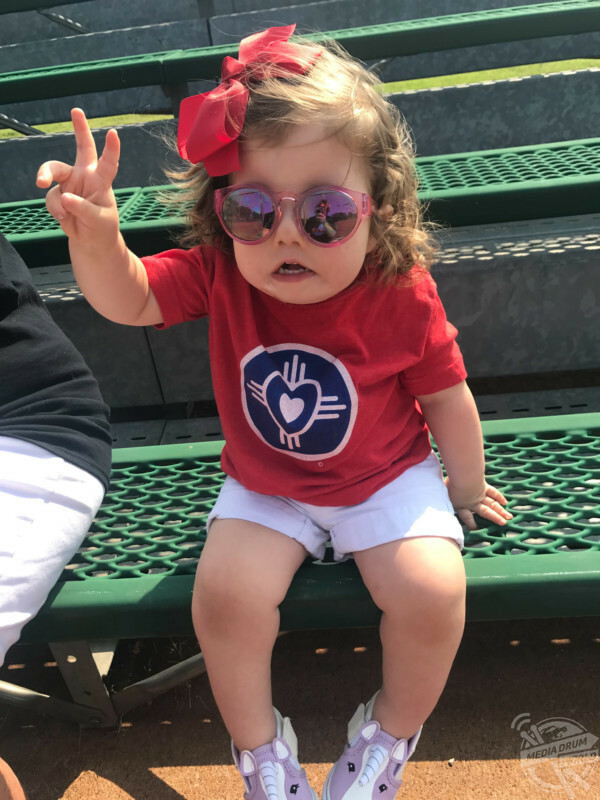 Three days later, the neurologist diagnosed her with Moebius Syndrome, a rare neurological condition that affects the muscles that control facial expression and eye movement. 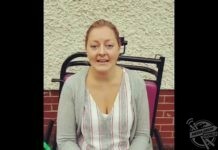 Rachel began crying with shock when she did her research on the disorder, but over the years she has come to terms with her condition and has vowed to raise awareness of the condition and raise money for a surgical procedure that can put a smile on her daughter’s face. Rachel pictured with Ava and her partner, Alex Buck. “I was completely and utterly overwhelmed. 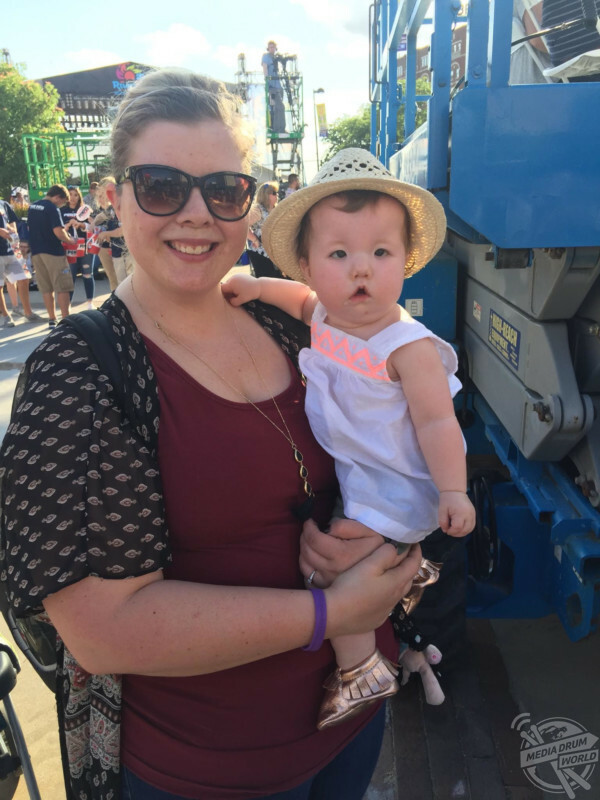 I already didn’t know what I was doing as a new parent but throwing this diagnosis on top of it really put me through the ringer,” Rachel said. “They handed us a pamphlet about Moebius Syndrome, but we had questions that the specialists couldn’t answer. Ava pictured during a Moebius Syndrome charity event. 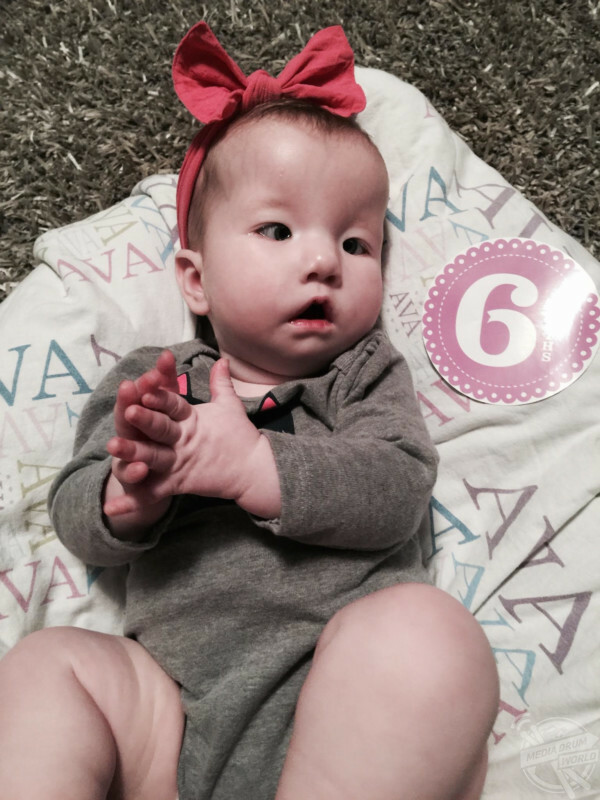 “I remember processing the diagnosis a few days later when I was finally by myself. I finally got the courage to do my own research and I sat in there for almost an hour ugly crying. 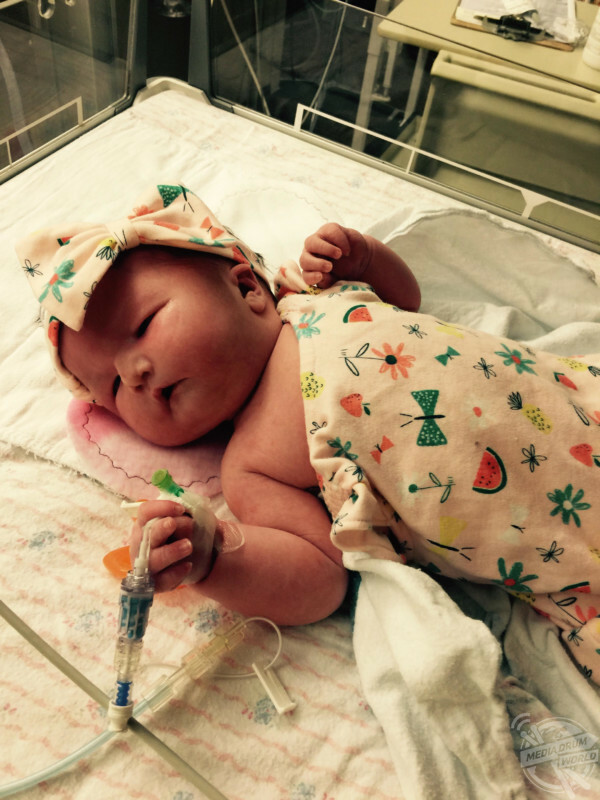 “I got myself together and walked out of the room and just held Ava. I think we were at an advantage seeing as though this was our first child so, anything we experience would be our normal. Ava pictured when she was a baby. 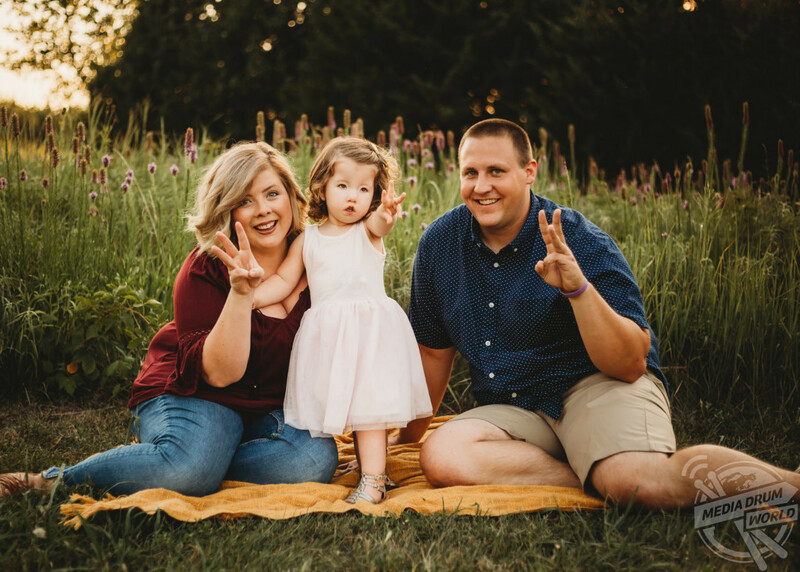 “We knew something was different about her from the time she went to the NICU, but we were relieved to have some answers, so we could start her plan of care. 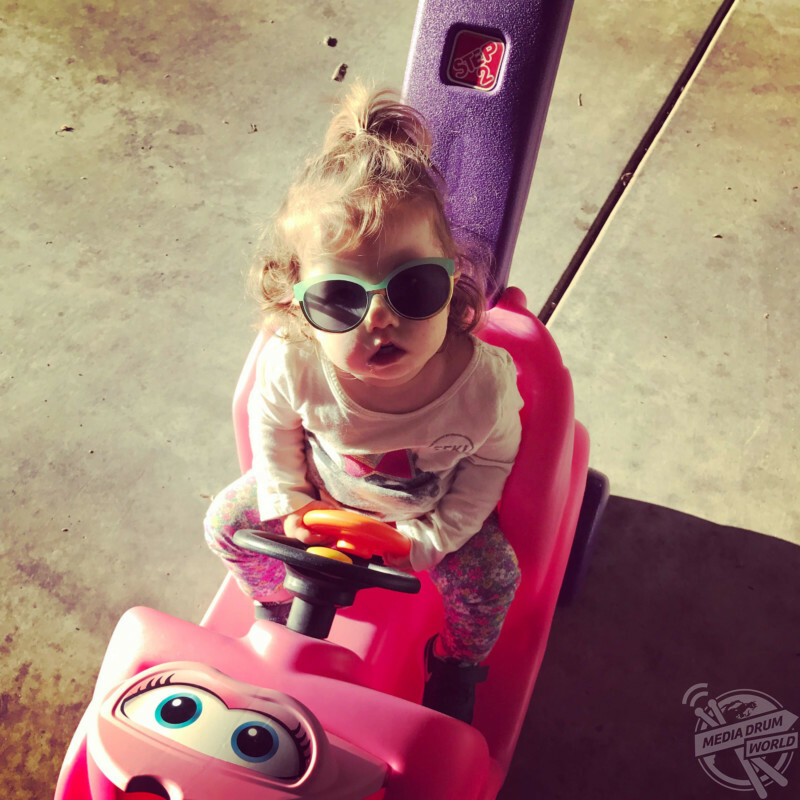 “We get a lot of questions from little kids who notice Ava’s facial features and we understand where they are coming from. “At first they caught me off guard. Now we try and answer their questions so it’s a positive experience for everyone. 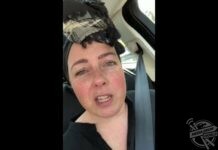 “Not sure if this is appropriate or not but it’s honest and I feel that other special needs parents have felt the same way where they just want to throat-punch the person making an ignorant comment. “But we must realise our kids are watching everything we do, and the way we react now is how they will react later. People with Moebius Syndrome do not have the sixth and seventh cranial nerve; they experience a form of facial paralysis. They can also experience other limb deformities such as; club feet, missing fingers or toes and in some cases their digits can fuse together. Rachel pictured holding Ava when she was a baby. Researchers estimate that the condition affects one in 500,000 newborns worldwide. The causes of Moebius Syndrome are unknown but could probably result from a combination of environmental and genetic factors. While most comments from strangers are positive, Rachel says that Ava would get an odd comment from her peers about her physical appearance out of curiosity. 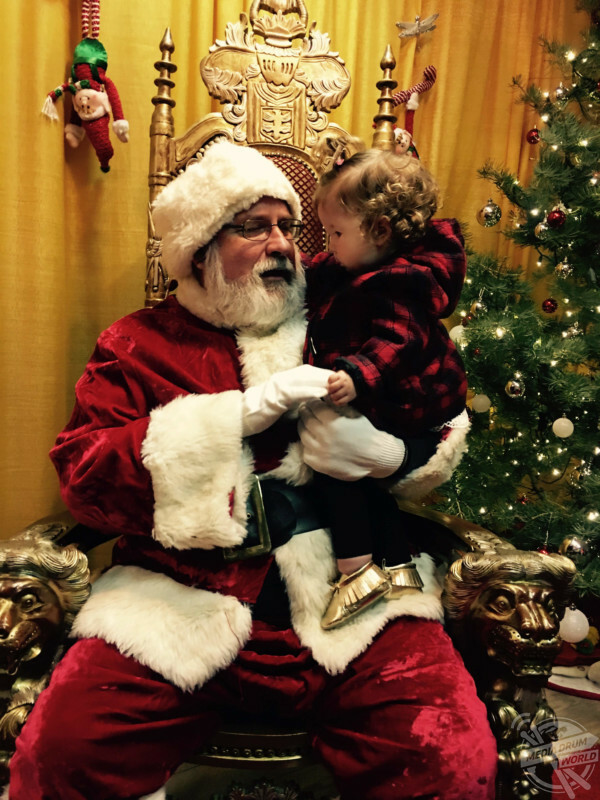 Ava pictured with Santa Claus. They are now looking towards the future for a possibility of Ava undergoing a smile surgery to help give her a smile. 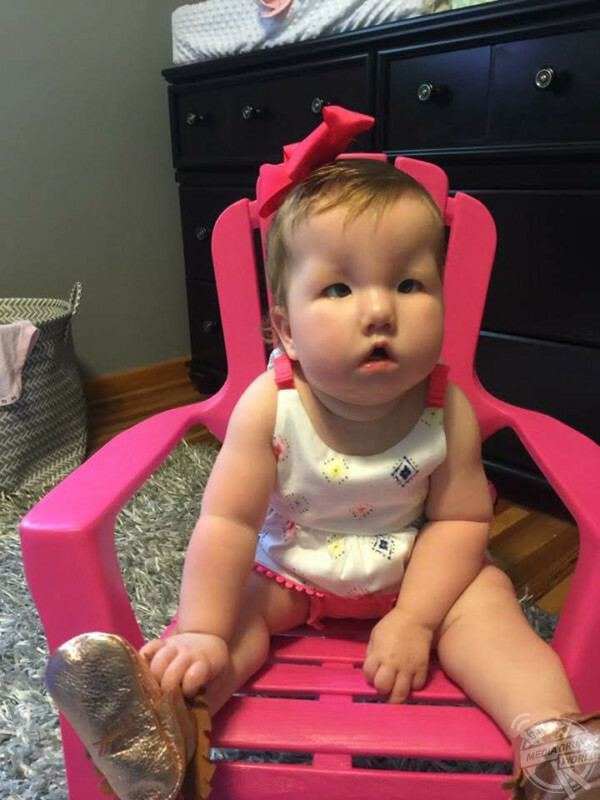 “This procedure will give Ava the ability to make some form of facial movement. There have been a few other kids with Moebius syndrome who have done this procedure and they have had excellent results,” Rachel said. 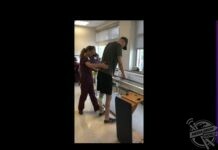 “For us this would mean traveling out of state for this procedure. My understanding is that the surgery is done one side at a time with a twelve-week recovery period for each side. “Right now, we are in the planning stages for consults that will happen this summer. We want to be very informed and we definitely want Ava to have a say in this matter, after all this is her body. “I feel now that we’ve had three years to adjust to this life it feels normal to us. I don’t think we would know what to do if she didn’t have appointments throughout the week or upcoming procedures to plan for. “I no longer worry about the things that I worried about when she was diagnosed. I feel that we have adapted to the situation at hand and we have learnt to overcome any challenges. Ava pictured when she was two. “I dread the day she comes home from school and tells me about how another student picked on her for her differences. 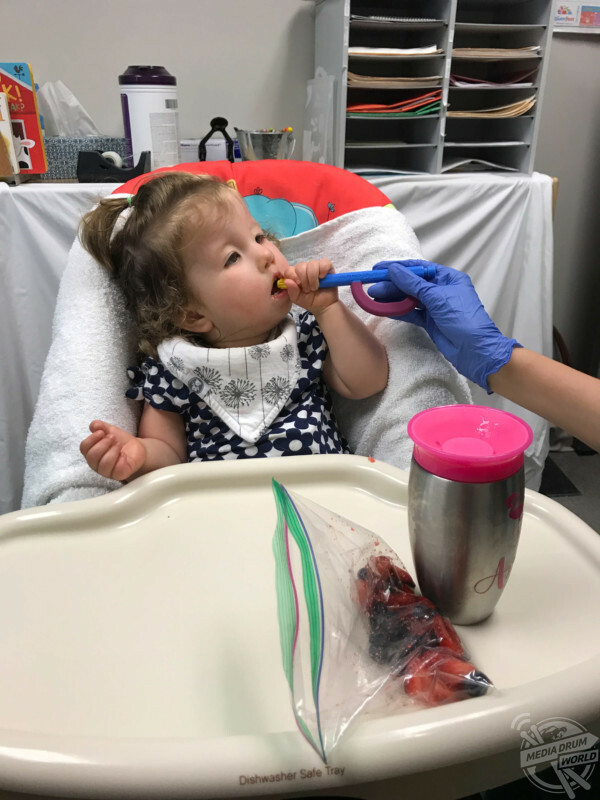 “So far, they haven’t been mean-spirited, just honest questions about her eyes and why she uses her fingers to move food around in her mouth. I think as she gets older that could change. 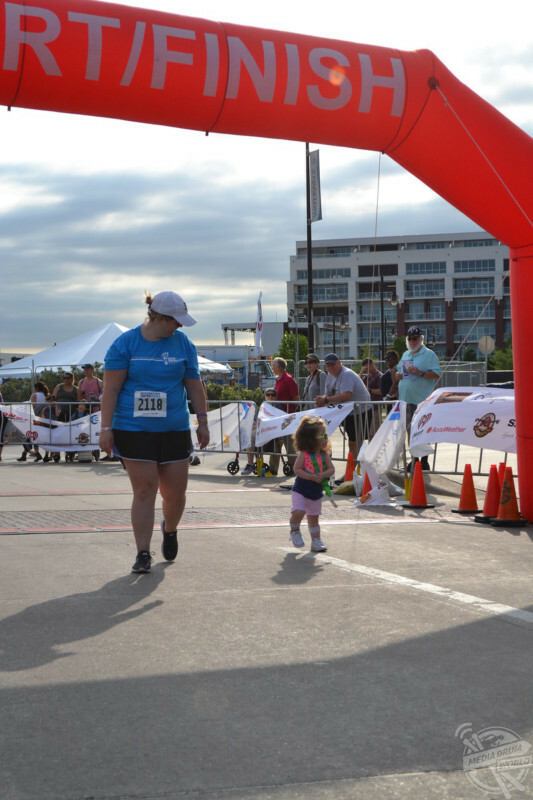 Rachel pictured running with Ava in a race. 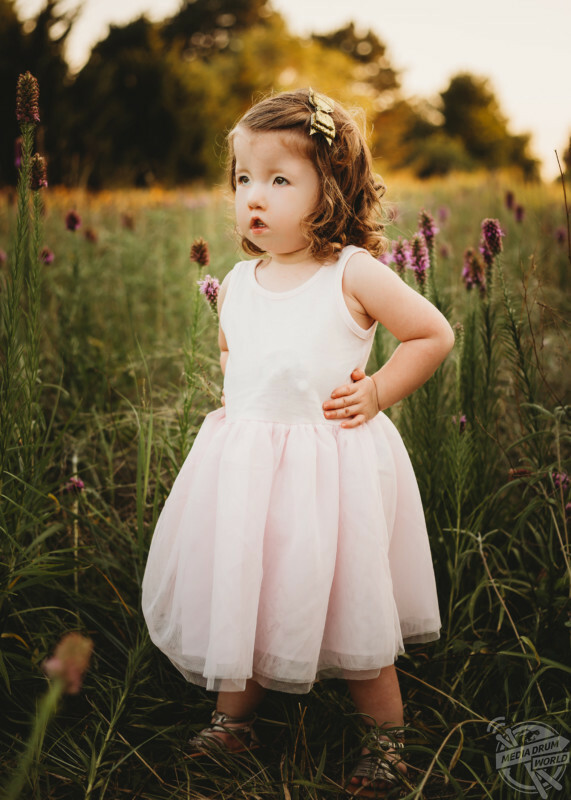 “As of today, she hasn’t ever indicated that she feels different or that she looks different and I hope it stays that way but I know that reality will come sooner than later and we will have to explain to her about how she wears her differences on the outside. “I feel that our worries are the same as any parents. 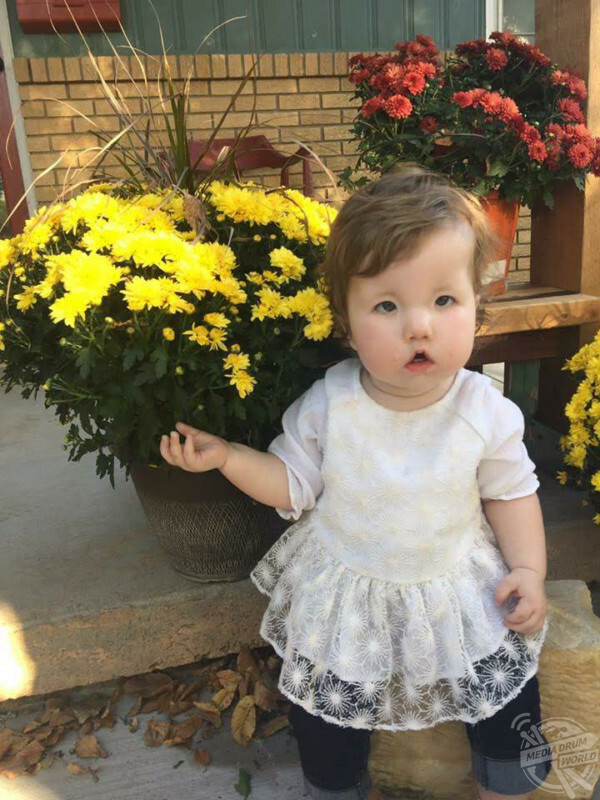 I want her to grow up happy and healthy, but I also want her to know that this disability is a part of her story, but it doesn’t define her. “She’s constantly finding ways to adapt to life and I hope she never loses that. Right now, her classmates are super protective of her. She’s the smallest in her class and I love seeing how much they help each other out. “Don’t be afraid to be an advocate for your child, especially with medical professionals. They might be the expert with regards to their speciality, but they aren’t the expert with your child. “I can’t stress the importance of early intervention programs for kids with any form of disability. I also want parents to know that they can’t compare their kids to others.